Electrical voltage and current are two important quantities in an electrical network. The voltage is the effort variable without which no current is available. It is measured across an electrical circuit element or branch of a circuit. The device that measures the voltage is the voltmeter. The current is the flow variable that represents net motion of the charged particles (electrons in solids, ions in a liquid) in a given direction. The product of the two yields the instantaneous electrical power. The ratio of the voltage to the current is the impedance. The current is measured by an ammeter (also called an ampermeter). Ammeters are connected in series with the load to measure the current in the load. Eventually, the ammeters require breaking the current loop to place it into the circuit. The voltmeter connection is rather easy since it is connected without disturbing the circuit layout. Therefore, most electrical measurements require determination of the voltage rather than the current due the ease of measurement. 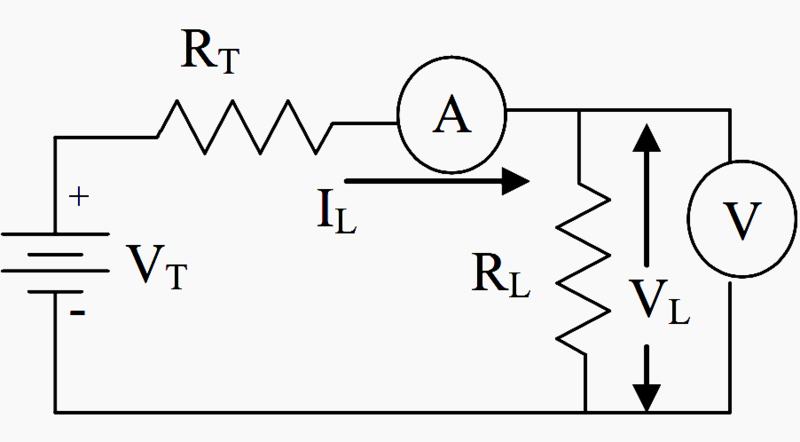 Connections of ammeters and voltmeters are illustrated in Figure 1. The current generates a magnetic field around the current carrying conductor. It is also possible to check out the size of the current by sensing the magnetic field strength. This is carried out by clamp-on type ammeters that will be shown later in the chapter. 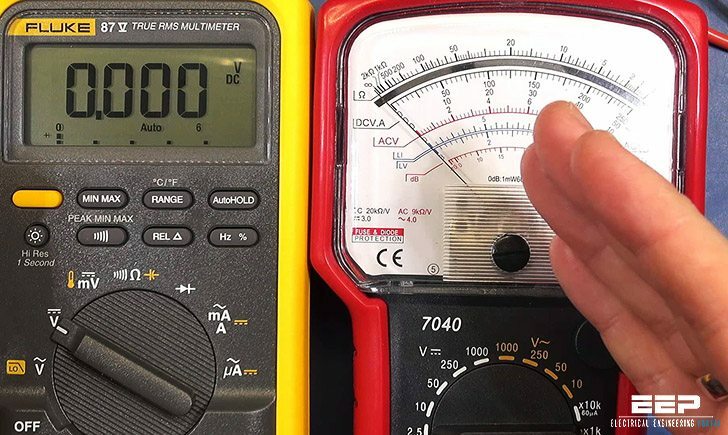 The electrical resistance of a circuit component is measured using an ohmmeter that applies a voltage across and determines the current passing through the component. However, their internal operations and user interfaces are different. The first type forms the analog meters that will be discussed firstly in this chapter. 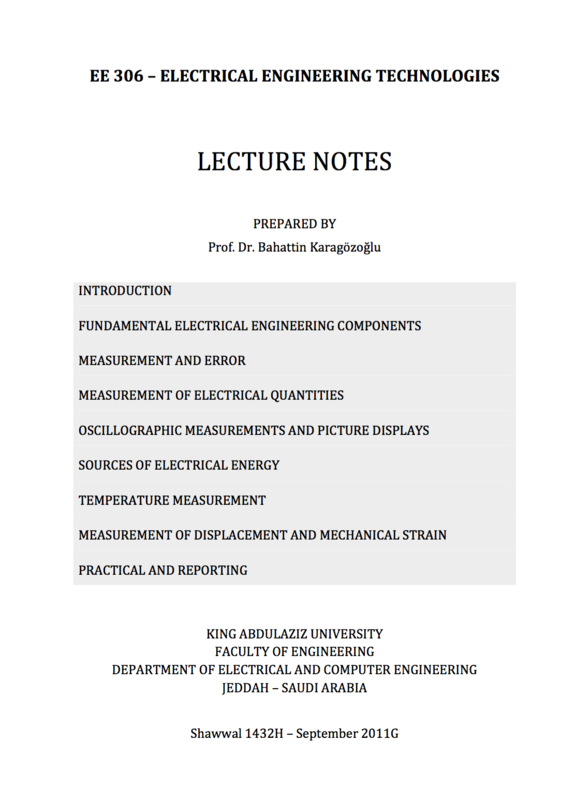 The second category will be discussed later in the chapter under the title of digital voltmeters. Many measuring instruments use operational amplifiers and similar electronic devices for signal amplification and processing. While some current measurement techniques require breaking the circuit, there are methods that do not. Very informative for refreshing oneself on electrical engineering. Thanks for all texts,analysis of elc.circuits,electric equipments.